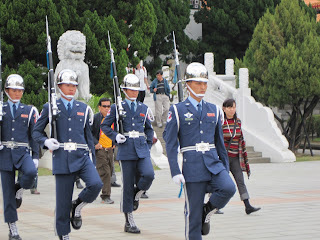 In my last post, I talked traveling in general. In this post, I will be introducing a popular holiday destination in USA, Orlando.This is the first stop for this mini virtual tour as I find it interesting finding out what's unique about popular holiday destinations. 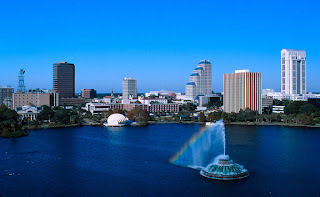 Orlando is a city in one of the USA states, Florida. It is the fifth largest city in Florida in terms of population (over 2 million people). A blooming industry in this city is tourism as it is the home to major tourist attractions like Walt Disney, Universal Studio and SeaWorld. Moving on to climate, Orlando is geared toward a sub-tropical weather as it has hot and rainy as well as dry seasons. Snow is also very rare in this city. Overall, the weather can be likened to Malaysia in exception of being more humid. And of course, what is a holiday without trying the food. If you are moving around on your own, it might be difficult to know which places to eat at Orlando. Nowadays, the internet simplifies everything as you can easily search up for popular eating destinations. One restaurant that I found quite interesting is Roy’s. It is a Hawaiian fusion cuisine-cross between Asian and Western food. Well, it does come with a price but has been given excellent reviews by various customers, which makes dining worth the experience. After converting to Malaysian Ringgit, it may cost about 100 Ringgit. In the next post, we’ll be looking at some of the major tourist attractions found in Florida. Traveling is indeed costly, but is a lifetime experience and thus saving money is important if enjoying life is your priority. Besides, all work and no play makes Jack a dull boy. Besides, traveling broadens our mind and helps us to deal with life in a more positive way. We, human beings are never meant to live alone and interaction with other people is an important aspect in life. Without people, life would be completely boring and what's more, we would never learn about others or have a chance to improve ourselves. Life is a long learning process and much of it comes by listening to other people's experiences, criticisms, comments and so forth. Besides, two heads are better than one and a single view may miss out many loopholes which could be pointed out by other people. By saying that, it does not imply that we have to follow exactly what other people say or stick to the rules completely. It is most important that we have our own principles in life and a valid reason behind making any decisions in life. Socializing with other people broadens our mind, improves our knowledge and helps us to make more informed decisions. City Suites Taipei is classified as a boutique hotel and frequently stayed in by business people. The external building may not seem that impressive, but to sum it up the whole atmosphere of the hotel is cosy-just like home. The interior of this hotel is very much inspired by Japanese deco and furniture, as it has been a long time favourite among Japanese tourists and business people. On the ground floor, there is the lobby area and a special study lounge. Guests have free internet access, magazines, newspapers, self-service coffee and tea and indoor games. The hotel rooms are very spacious and is fully equipped with all the basic facilities. In addition, guests are welcomed with a fresh fruit platter consisting of an apple, banana and orange. The rooms are very pleasant, comfortable and clean. If you want to chill out, simply turn on the television for hundreds of channels to choose from, ranging from BBC news to the local Taiwanese dramas. I would give a big thumbs up for the buffet breakfast at the hotel. The ambiance is very cosy and quiet as the area is carpeted and area is not very large. The buffet line was very good with a mix of Western, fusion and Chinese cooking.The food was all very fine like seafood salads, dim sum and duck slices. The F & B service is also great. Overall, this hotel is reasonably priced considering it is located in the capital city, Taipei. It is strategically located among various shopping malls which are within walking distance. No photos were taken, you can check out City Suites Taipei for the close-up photos. Traveling is a great way to relax and is also very therapeutic especially during a hectic and stressful period. Just getting away for a week or so from all the hustle and bustle of daily life can help to give our minds a break and in cases of decision making, we would be able to think better and make better decisions. However, traveling is undeniably a rather costly past time but planning ahead and booking hotels or flights during off-peak seasons can really help save a great deal of money. Nowadays, it is very common to book airline tickets online as both MAS and AirAsia have adopted the electronic ticket system. There is usually no problem with this area as we would be booking directly through their official website and all the price changes are based solely on demand and seasons. In addition, t he only comparisons that we could make are choosing between MAS, AirAsia or other companies like Singapore Airlines or Brunei Airlines. As for accommodation, we could choose to book online or offline, by calling up the Hotel. However, as hotels have been sprouting like mushrooms, quality and value are of high importance to consumers. Many of us would like to browse around and even look at some reviews before choosing the hotel. Recently, I found this Hotels Combined website where I could browse for all hotels worldwide. It is a very useful guide to finding the suitable hotel according to your budget. In addition, I can get a basic idea of hotels that are available in say, Melbourne as I am unfamiliar with that place. Apart from that, there is much comprehensive information on each hotel including reviews, its star rating, distance from town and rates for each type of room available. Hotels Combined simply acts as a platform to display the rates of various travel agents worldwide. Whenever you click on a hotel you might be interested in, there are many booking sites available for you to choose from, and you can choose the ones that offer the best value for money. Although many people may choose to book offline, going online is a great way to help consumers to be well informed and be ensured they are not ripped off. In addition, you would be able to read genuine reviews and know what to expect when staying at the hotel you have chosen. The current trend today is to capitalize on a large variety. For example, many new eateries opening in Kuching offer large varieties of food to cater to everyone looking for a full course or simply a light snack. In addition, old shops have started to follow this trend by offering more than just their ‘trademark’ or ‘specialty’ food as they have found various customers looking for different types of food. Coming back to variety, the reason that this business trend is evergreen is that it is very hard to predict the exact needs of customers or to gain potential customers. By offering a large variety, customers have various choices and prospective customers may also find just something that they like or need. In contrary to variety, another much untapped market is the niche market. Basically, you would be trying to offer a business or service that is highly specialized and caters to a small but highly lucrative market. With high returns, there are also high risks. When trying to launch into the niche market, you need to have an extremely clear vision on your target market and be confident of the feasibility of your products or services. The only way is to do your homework by conducting analytical studies and considering various aspects over and over again. If it is successful, this market can be highly profitable but the trade off is high initial capital risk in case the products or services do not favor your target market. There is no exact answer whether you should focus on variety or try to target a certain group of customers. One of the ways to gain some idea is to do market research, talk to prospective customers and consider how much you are willing to invest in the business. In addition, starting of small gives you a great opportunity to find out what works best and room for mistakes without so much damage. In fact, the ability to manage a small business well is a great starting point to prepare for expansion as you have built a solid foundation and basic principles for doing business. Who started the glamorous red carpet? At any important occasion in both the East and the West, all the VIPS have a red carpet to greet their arrival. This tradition has indeed spread all over the world from the Oscars, Nobel and Grammy to the King and Queens arrival. So what's the story behind using the red carpet? Why not blue, purple, green or any other colour? I decided to check it out on Google. Apparently, there have been no exact answers to how the red carpet originally started. 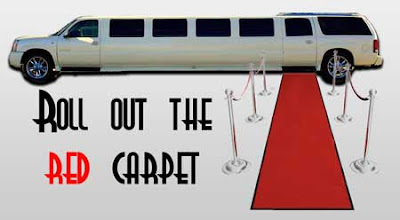 But there are a few historical uses of the red carpet that have given rise to its popular use today. One school of thought says that the red carpet originated from the Greece classical play Agamemnon.This character is welcomed home by his wife to a grand reception with a carpet of the colour of the gods, deep red and purple. Over time, the deep purple faded and turns into a deep red colour in which important members of society walk on. So yea, in today's context it is reserved for the important guests of an occasion. Another source of origin may be from the usage of red carpets in the past by railroads who use them on platforms to guide passengers to the correct portion of the train. Other than that, many hotels would roll out red carpets from the pavement to their lobbies to greet the arrival of guests. Today, the red carpet tradition has remained unbroken and is a universal colour as a welcoming sign to important guests at any function. It is a must have at the Oscars, Grammy and the Nobel awards. Other than that, it has also become a popular theme at high school and university proms, weddings, fashion shows and clubs. The prices of petroleum has been fluctuating during the past few years, has reached its peak and also collapsed to its' lowest. Over the many years in Malaysia, we have enjoyed the subsidized rate for petroleum as the government absorbs the excess amount. Therefore, we have and are still paying much less for fuel in comparison to other countries like the US, UK, Australia and Singapore. Well, the compensation for those countries is that the prices of cars there are much cheaper and the government has to ensure their public transport is in tip-top conditions. 3. Petrol subsidy capped at 100 litres per month-to be reviewed as this amount is considered insufficient. This means if you use more than 100 litres, you have to pay full price for the excess over 100 litres. In my opinion, our government has been going through a budget deficit and now its time for them to recoup as much money as possible. This scheme will keep the majority or if not everyone on their toes when it comes to petrol consumption-well at least initially. After awhile, everyone gets used to it again and everything is back to normal. However, the amount that is subsidized will definitely be inadequate especially for people in the business line who incur high transportation for their goods or services. Well, once again the extra costs will be passed on to consumers, we'll find the laksa or kolo mee going up again over time, wages will have to increase and inflation catches up again as everything gets more expensive. Hopefully by that time, if the government wants to cushion inflation, they'll make the subsidy schemes to favour businesses and consumers. But well, for all these to play out, it'll probably take a couple or even many years depending on the market and world situation. Besides, this scheme is taking place on May 1 and various press releases are preparing the public for it so that they can be prepared. The final decision of the government is yet to be officially announced. Working as a team is both challenging and fun at the same time. The two schools of thoughts are that individual work is better while another says that team work results in higher productivity. In my opinion, there are both pros and cons for working individually and as a team. However, it is highly impossible to escape being involved in teamwork especially in the workplace where we all have colleagues. It is indeed not an easy task to manage a team but here are some recommendations to maximize team performance. This applies to both the team leader and its members. Before the team embarks on any project, it is especially vital that the team leader and members are honest with how they view the project and the amount of effort they are willing to put in. If the team is not unified on the goal for the outcome of the project from the beginning, any rocky times throughout the project will be able to crumble the whole project easily. Therefore, before any further time, effort and money is invested, the whole team must be united and be prepared to work towards the target performance. In addition, any dissatisfaction or conflicting views should be settled as soon as possible before the project begins. There is a certain expectation that everyone in the team is treated with mutual respect and with fairness. It is common to always have someone in the team who is ‘picked on’ due to various reasons such as physical size, mental capability and so forth. This is different from having someone who is comical or funny in the team. The team leader must look out for tell-tale signs of a ‘picked on’ member such as being absent frequently or refusing to participate. The value of fairness among all team members is very important in order to gain full co-operation from everyone. Nobody would be willing to give their best if they feel unappreciated or inferior to others. In addition, all team members are responsible to treat each other with due respect to avoid any major conflicts which could interrupt the whole project. Individual performance is important, but in a team everyone’s combined performance counts. In order to gain synergy in team work, it is important to ensure that all members continually support each other especially morally. Inevitably, a member might make mistakes and it is a killer when the whole team turns the blame on that person. The team members should instead support the member by brainstorming to find a solution. Besides, ‘two heads are better than one’ and that is the whole point of a team, to help each other and to achieve more than individual performance. Have you ever tried to lead a group of people only to find they are not following? Or perhaps you are the leader who always gets the blame from your members when situations do not turn out as planned. Fret now, these are telltale signs that you need to improve your leadership skills. Some people may tell you that you are not a natural born leader, but the truth is-leaders are not born, they are made. The choice is in your hands whether you choose to soar above the crowd and turn yourself into a great leader. The first step to improve your leadership is by doing a self-check and getting to know your own personality extremely well. You need to be very clear of your strengths and weaknesses and how you can make them work to your advantage. For example, if you have identified yourself to be an organized person, you can pass this on to your members by passing on your expertise in the area of management. At the same time, do not be afraid to be frank about your weaknesses. To be a successful leader, it is essential to gain feedback from your members who may bring up critical ideas to improve team performance. A leader is one who stands in the frontline and is able to think ahead of others, make necessary plans and empower the people towards a set goal. In order to improve your leadership, it is vital to have integrity, persistence and self confidence. Your main aim is to set a good example to your members who will follow suite. You must stick to your words and lead the people instead of lording over them. As a leader, all your support will come from your members and mutual respect is important to assure each member that they are highly valuable to the team. With this, they will be more motivated and treat the whole project as their own.